05:15 — Weather, local and international news including PNE bands lineup, final Tragically Hip Vancouver date July 24 (tickets on sale early June), Scholars question Site-C process, new federal funds go to promote reconciliation but go to oil and gas funded reconciliation and business-friendly models of reconciliation, and a majority of British Columbians think their government is essentially an oligarchy article in National Post. 23:00 Update on Bernie Sanders campaign with Jeff Cohen on should Bernie Sanders have run as independent or as a Democrat? 32:15 Turkey’s Erdogan makes a coup d’etat against opposition party HDP to seize more control of Turkish parliament. We hear from Baris Karaagac of Trent University on the Real News Network. 38:30 Ken Loach wins Palme d’Or – Cannes top award for his new working class hero story “I, Daniel Blake.” The British filmmaker dedicated it to people suffering from social injustice worldwide. 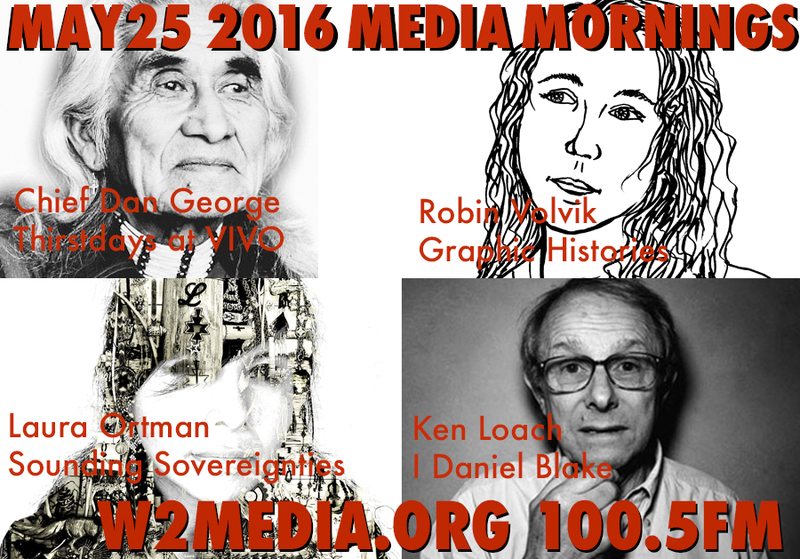 48:30 Feature interview with Robin Folvik – previewing her Book Launch! Drawn to Change: Graphic Histories of Working-Class Struggle, Friday at 7pm. Comic book launch by the Graphic History Collective! Canadian labour history and working-class struggles are brought to life in Drawn to Change: Graphic Histories of Working-Class Struggle. The comics in this illustrated anthology showcase the inspiring efforts of working people who came together with others to change the world. Working-class history is not just interesting and exciting; it also contains important lessons for labour and social justice activists today. 58:00 Announcement: Tonight – Central Waterfront Coalition meeting to fight Port of Vancouver expansion of Centerm Terminal. Wednesday May 25, 7pm, RayCam Community Centre. 58:50 Announcement: Roundtable on Trump and Psychoanalysis at SFU Humanities.